9 December 2007 was World Human Rights Day. In celebration of this occasion, the Malaysian government arrested and charged a few lawyers and politicians for being a member of an unlawfully assembly and for continuing to participate in an unlawful assembly despite knowing of a command to disperse. On this occasion the police and prosecution made one fatal mistake. They also arrested and charged founding LoyarBurokker, Amer Hamzah Arshad. So of course, the Attorney General lost the case. On 9 December 2007, a group of people gathered outside a restaurant called Siddique Restaurant along Jalan Tuanku Abdul Rahman, Kuala Lumpur opposite Sogo Mall. Amer Hamzah Arshad, a founding member of LoyarBurok, along with 6 others (Eric Paulsen, Noraza binti Othman, Johny bin Andu @ Abu Bakar Adnan, Sivarasa a/l K. Rasiah, Latheefa Beebi Koya, N. Surendran a/l Nagarajan) happened to be a part of that group while perhaps they waited for a table to free up so they could feast on some roti canai that morning. At about 8.00a.m. perhaps after feeling the weight of the roti canai and feeling guilty about the lack of exercise, Latheefa, Surendran, and Selvam, approached Superintendent Hamzah to request that they could all walk together to the Bar Council building using the footpath, which was a short distance a way. As Superintendent Hamzah readily understood the benefits of group exercise, he granted them permission to do so. Since physicians recommend adding weight to one’s walk to increase its aerobic benefits, a few of them unfurled a long banner with a tangential phrase which had nothing to do with the occasion: “Lawyers for freedom of assembly bersama rakyat!” At this point the author notes the flagrant criminal act of mixing languages in one’s banner. After walking some distance, Superintendent Hamzah had doubts about the benefits of group exercise and informed the group that he withdrew his permission and ordered them to disperse in 10 minutes. The group understandably did not want to lose the calorie burning momentum proceeded to walk on. When they reached the CIMB bank on Jalan Tun Perak, the police closed in an arrested the 7 mentioned earlier, even though the 10 minutes was not yet up. Being law abiding citizens and crap at exercise, they did not protest the arrest but waved to their various supporters and enjoyed the ride to the balai. They were subsequently charged under section 142 for being a member of an unlawful assembly (punishable with a term of 6 months and/or fine pursuant to section 143) and section 145 for continuing in an unlawful assembly despite knowing a command to disperse has been given (punishable with a term of 2 years and/or fine). There were alternative charges preferred under section 27(5)(a) and 27(4) of the Police Act 1984 (‘PA84’) respectively. All of them naturally pleaded not guilty to the spurious charges. During the prosecution’s case, they admitted to participating in the assembly but denied that it was an illegal assembly and that they disobeyed the ordered to disperse. Saya setuju masa itu tiada keraguan siapa kumpulan ini. Masa itu fahaman saya jalan maksud ialah untuk beri peluang gerak ke tempat yang hendak dituju. Ini hak mereka dan tidak menganggu lalulintas dan ketenteraman awam. Sebagai Ground Commander saya beri kebenaran ikut Akta Polis …. [t]he police cannot be seen to renege and be seen to approve and reject at the same time, quod approbo non reprobo. I regard the conclusion I have arrived as not only desirable but necessary to ensure that the Malaysian Police Force continues to command the the respect, faith, trust and confidence of the public. The prosecution tried another argument along the lines of, the permission was violated when they formed a group, but it really is a waste of your time. The prosecution then tried to argue that merely walking along the footpath of Jalan Tuanku Abdul Rahman would necessarily cause obstruction, danger or annoyance to the persons who may have wanted to use these two roads. The judge cleverly killed that argument with a finding of fact to the contrary. On the charge of disobeying an order to disperse, the prosecution argued that the fact that the group walked on after Superintendent Hamzah gave them 10 minutes to disperse indicated they were ignoring the order. The judge correctly pointed out that the accused could only be taken to have disobeyed the order after the expiration of 10 minutes. Superintendent Hamzah is to be congratulated for his honesty because he confessed that he did not know whether 10 minutes had elapsed before arresting them. Since the prosecution had to prove this beyond a reasonable doubt and failed miserably to do so, this charge also failed. After receiving the grounds, the prosecution wisely decided not to appeal. 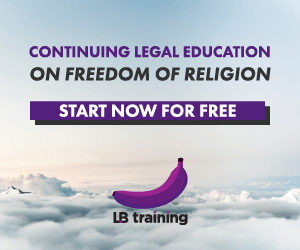 The lesson to be learned from this case is that you must be careful when exercising with lawyers or a LoyarBurokker because you may not just be exercising your body that day, you may also end up exercising your constitutional and human rights also. That may have been more than you bargained for though rest assured you would be getting a great deal of value for no money. LB: Full written grounds can be obtained here. Posted on 21 June 2010. You can follow any responses to this entry through the RSS 2.0. Next time kaki LB should just walk and carry a 10kg "1" bi0rthday cake to Sri [email protected] together with a secret "memo" giftpack wrap with "1" banner ! Who would say a walking well wisher need a police permit ? Aiyoh Puan Komathy you again ah? Like that no chance of promotion lah. Well written piece. Good score 2-0, both penalties. Who is the chief of A.G.'s office ? A useless good for nothing lawyer appointed to the job because of his race and not his ability. He may be the most Umno obedient lawyer but is surely not the best lawman in the country. As a consequent the entire country is in a bloody shamble because of the appointment, should have him replaced yesterday.